Kat + Duc | Are Hitched! 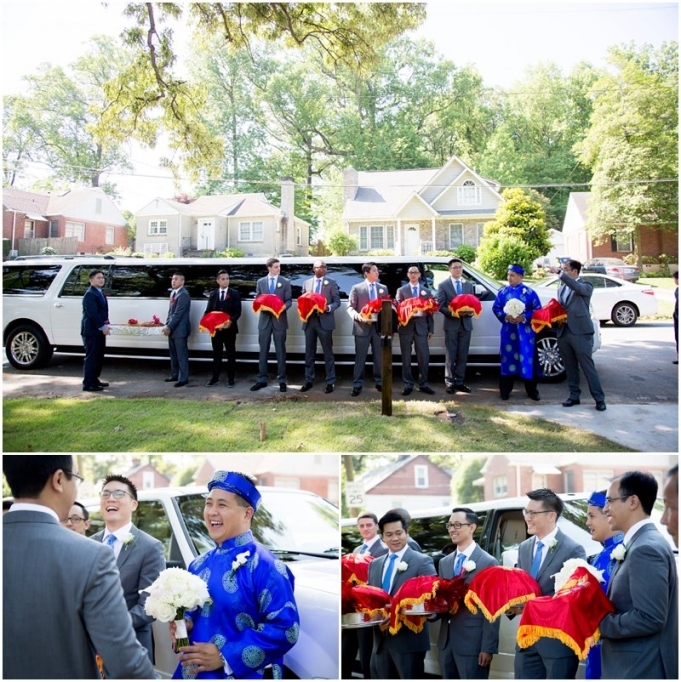 | Traditional Vietnamese Wedding | Atlanta Wedding Photographer - 2TPHOTO: life through a lens. Kat and Duc are fabulous! 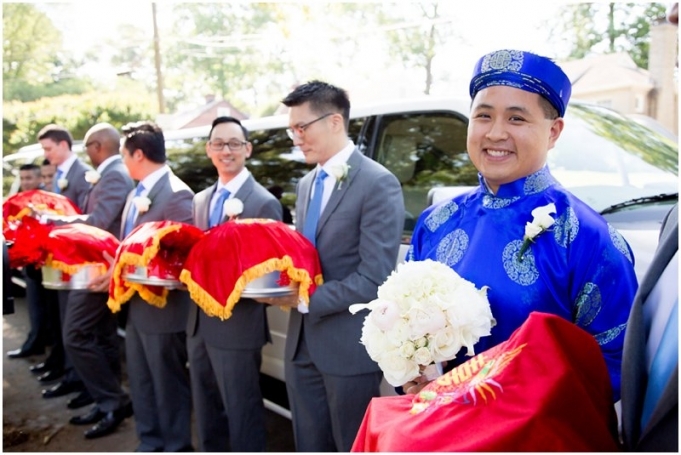 They had a gorgeous Vietnamese wedding at the Catholic Church of St. Anne and at Happy Valley. Their wedding was a perfect combination of traditional and modern. This was actually my first Traditional Vietnamese wedding– which was very exciting for me as I am Vietnamese myself… and have never actually seen all of the traditions take place until their wedding! We started the day with the traditional Vietnamese Tea Ceremony at the bride’s home. Here the bride’s entire extended family is introduced to the groom and at this time, parents are offered “tea”… an adult alcoholic beverage if you will… by the bride and groom as a form of respect. The bride is also gifted beautiful pieces of jewelry by both sets of parents. Then we headed to the grooms home where the groom’s entire extended family was introduced to the bride. The bride and groom were showered with gifts everyone feasted on all of the AMAZING food (including a giant roasted pig) before heading to the church. I love that their wedding incorporated both traditional elements as well as their own modern touches. The merger of Catholic and Buddhist, Vietnamese and American, and the bold cobalt blue was a perfect compliment to the traditional red and yellows in their decor. 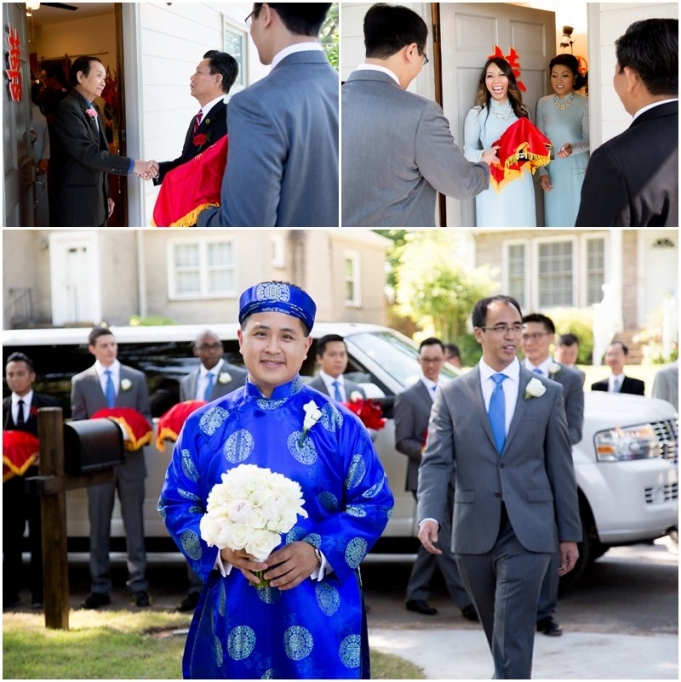 Like every aspect of their wedding– Kat and Duc are the perfect compliments to each other. Kat is an organized, get it done kind of girl. Although she’s known for being a hard worker– she knows how to throw down and have a good time! She is playful and kind and can put Duc at ease by just a soft glance. Duc has a warm heart, is laid back, and has a great sense of humor. Every time he would look at Kat– tears would well up in his eyes! It was so heart warming to see so much love between two people that not only radiated between them– but among both tight knit families.